The Deferred Retirement Option Program (DROP) allows you to effectively retire under the Florida Retirement System (FRS) Pension Plan. You begin accumulating your retirement benefits while delaying your termination for up to 60 months from the date you first reach your normal retirement date or your eligible deferral date. 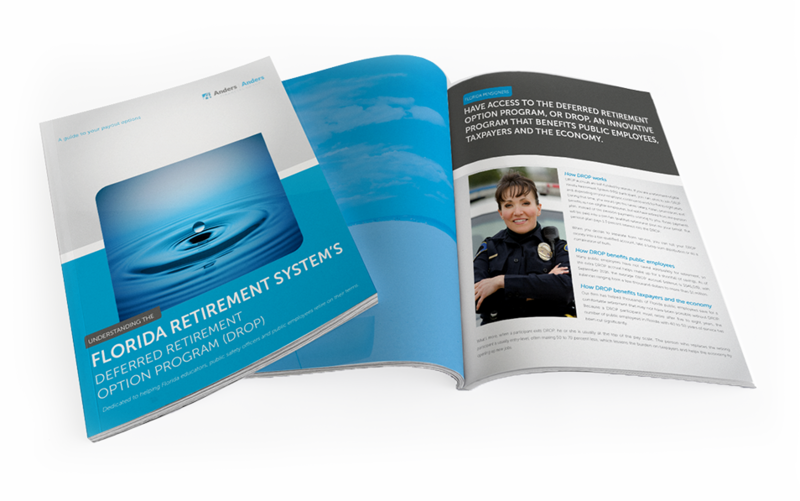 DROP provides you with an alternative method for payment of your retirement benefits for a specified and limited period if you are an eligible Florida Retirement System (FRS) Pension Plan member. Under this program, you stop earning service credit toward a future benefit, have your retirement benefit calculated at the time your DROP period begins, and your monthly retirement benefits accumulate in the FRS Trust Fund earning interest while you continue to work for an FRS employer. Upon termination, your DROP account is paid to you as a lump sum payment, a rollover, or a combination partial lump sum payment and rollover. Monthly benefits are paid to you in the amount as calculated upon entry into DROP, plus any applicable cost-of-living adjustments for intervening years. For more information, see the latest version of the DROP guide.